Every post here at Posted in Paris usually begins with a flurry of e-mails looking for information. The one we got back from Susan Karp, a relative newcomer to Paris, was so well-crafted that we asked her to write the post. I am sure that somewhere in Paris there exists a mythical, beautifully furnished apartment or two just waiting for some expatriate family to move into. But we didn’t see any of those. The furnished apartments we were shown were – as I said to my husband – fine if we could just get rid of all the furniture. As we probably should have expected, the furniture in these apartments was old, tired and very much like my grandmother’s circa 1972. I very definitely remember avocado and gold. Before we found the place we now call home, we first stayed in two temporary apartments, the kind rented on a (very expensive) monthly basis, and these were equipped — as I always assumed furnished apartments would be – minimally but adequately. There was a bed for everyone, a couch, a coffee table and a television that we could never figure out how to turn on. One pillow, one set of sheets and two towels for each member of the family. A dining table and chairs. There was always a coffee pot (a Nespresso, even if there were never any pods left in the apartment), usually a microwave, and often a toaster. The windows had curtains, the cabinets were left in place — now that’s an interesting and unexpected Parisian twist, how an unfurnished apartment often has no kitchen — and there was usually some kind of cleaning supplies, be it a mop or a vacuum. It was enough to get by, certainly for a vacation. But for a year, especially with kids? No way. With the help of a couple of other Parisian expats who’ve gone the furnished route, here are some ideas of what your future home may still be missing. Whether you bring these items with you from home, purchase them here or forego them altogether will be a function of your personal tastes and budget. Bedding: European beds have different dimensions than American but enough people complained about sheets being too scratchy or stiff, or musty blankets that this really bears repeating. I can’t tell you how happy it makes me to see my son’s Star Wars sheets in his Parisian bedroom. And I’ve found it very difficult to find those kind of sheet sets in Paris. If you’re past the stage for that, consider bringing a down comforter, pillows, and flat queen sheets. Towels. Oh how I wish I’d gone to Target or Macy’s and stocked up on fluffy, absorbent American towels and bath mats. I believe I am the proud – if humbled – owner of Paris’ most expensive bath mats because I like the rubber-coated American ones. But bear in mind, if you don’t have a dryer, even the fluffiest American towel will be crunchy in Paris. Slippers and comfy clothes for hanging around the house: We very carefully weeded through our clothing, leaving behind anything that we considered too schlumpy for Paris. But some Sunday mornings, I’d give up every pain chocolat in Paris for my favorite, too-ugly-to-leave-the-house-in sweater and a pair of sweat pants. And when you’ve seen what’s on the streets in Paris, you’ll be happy to leave your shoes by the front door and step into your slippers. It’s all the little things you need to make life a little easier. Storage of any kind: Under the bed for out of season clothes, bins for toys, etc. Kids backpacks: I cannot tell you how much money we spent on backpacks at BHV because I thought it would be “sweet” to get the same thing the European kids carry (which turn out to be Eastpaks at 75€). Lunch thermoses: impossible to find here. A final note: Your camera, laptop, Ipad, printer, Ipod, and Ipod dock may become your most beloved possessions when you are far away from home. These are incredibly expensive in France, about 50 percent more expensive than in the U.S.. If you are American, buy these before you leave. Most new gizmos are dual voltage (that is, they run on both North American and European current) although you will likely need a plug adaptor. Already on Posted in Paris: French Electricity Explained, What (Not) to Wear in Paris and Don’t Forget to Pack The…..
Susan Karp moved to Paris with her husband and children for – as she puts it – “no good reason.” But even this cynical native New Yorker has been wowed by the city of lights. A longtime freelance writer, Susan has contributed to Consumer Reports, USA Today, Newsweek International and is the author of the now-sadly-out-of-print Smart Guide to Profiting from Mutual Funds. 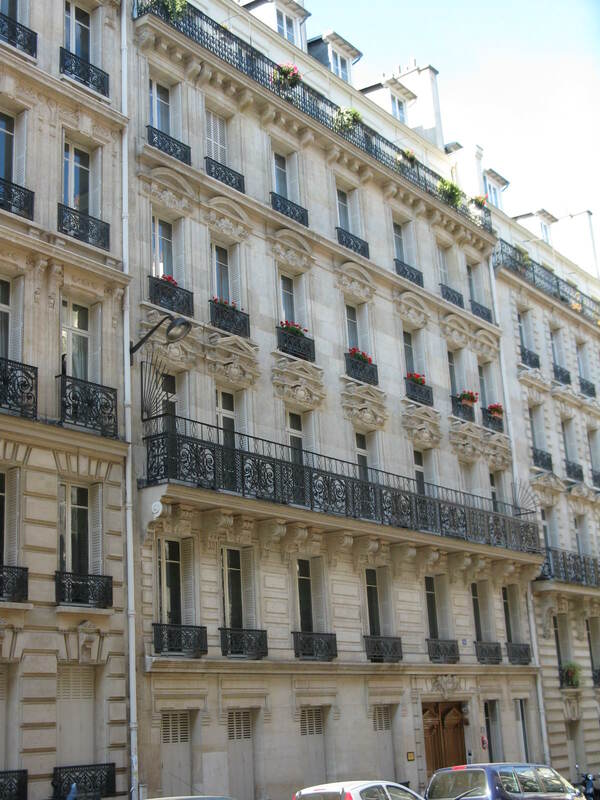 This entry was posted in Home and Garden and tagged apartment, France, furnished, Paris, rental. Bookmark the permalink. if you use those anti-calcium tablets with fabric softener while doing laundry, you can avoid that crunchy towel syndrome in the absence of a dryer. Oooh, that’s an excellent tip! I have a dryer, but find I don’t use it that much and then end up with the crunchy towels! Great post. Some of these apply also to “rent by the week” vacation apartments/houses/lodges throughout France, especially the kitchen stuff — e.g., none of them seems to have sharp knives! Susan mentions a few times in this post, but I’d also like to stress how expensive (and hard-to-find!) everything is in France compared to the U.S. I’d say, if you absolutely need it, bring or ship it. At first we wanted to rent a furnished appartment but we found out it was cheaper to rent an appartment and buy everything at IKEA. Also when we travel to the US or Canada we leave with one small suitcase for two and come back with two suitcases each because a lot of stuff is more expensive in France than in North America. It kills me to find stuff I’d usually buy at the dollar store in NA and pay it 5 or 8€! No idea how to use the tv or the washer as there were no directions in either English or French . Yes Susan furnished leaves a lot to be desired! I moved to Paris about 4 weeks ago and while waiting for the arrival of our shipment, we are presently in a “Corporate furnished apartment”. I am sure everything came from Ikea, so.. adequate, but the bed is killing me!! I have a theory as to why some apartments are so poorly furnished. I was at a moving sale recently and met some very interesting people. They were there for a bargain (me too) but they were furnishing their “vacation home” and having comfortable furniture and matching dishes are not a priority especially when it is rented out most of the year. For now, I can’t wait to get into my North American, Sealy Posturepedic, pillow top bed. Susan, sad to say, you made me weep! Only because it’s nice to know I’m not alone! My joined my husband here 7 weeks ago and the rental we’re in (7th) is soooooo what you described! Surely I had the worst one I thought! But no, it’s one of many it appears! And often I feel exactly like you describe the furniture – so old and tired! Not because I am, but just from “looking” at it! Fortunately I had a topper shipped over after meeting my bed and it has become my best friend. Costco made a fortune on us before we left……the topper, the Ziplock bags and yes, even towels! My husband is the cook and yes, the knives……well, you described it all. Thank you for a wonderfully perfect description of what CAN be changed!